Up early for a hike down the North Kaibab Trial to the Redwall Bridge 2.6 miles, elevation change -2,400ft. 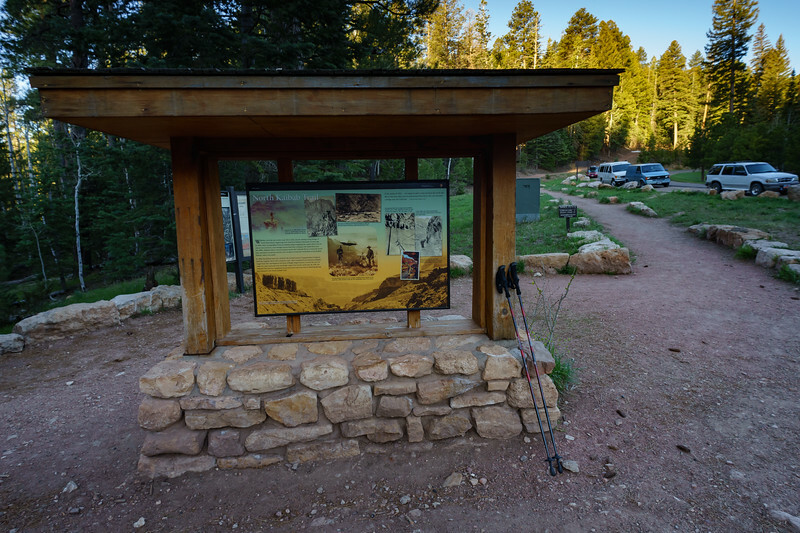 Kaibab Trailhead 8,241ft. Redwall Bridge 6,040ft. Trailhead to Bright Angel Campground at 2,480ft. ( Phantom Ranch) a drop of -5,761ft a distance 14 miles.